From a distance, it’s a very pretty shower. 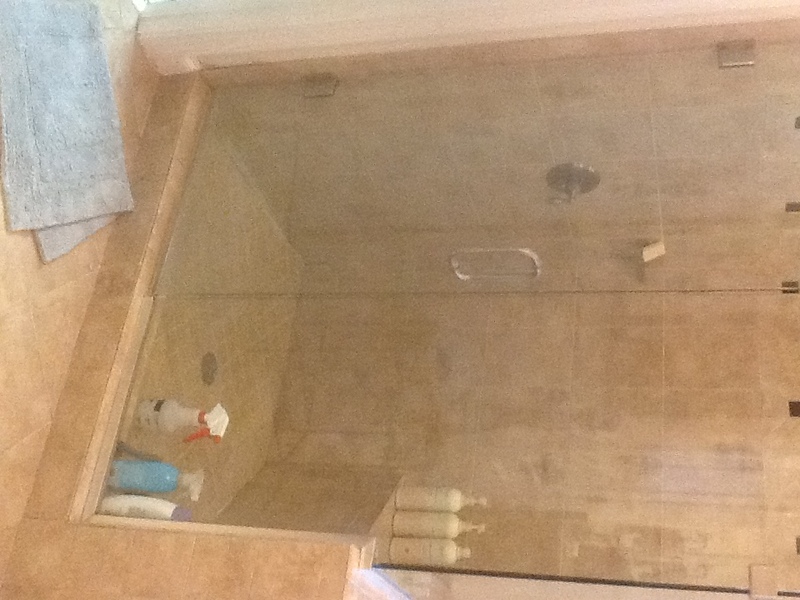 Note the cleaning bottles that have taken up permanent residence in the shower. 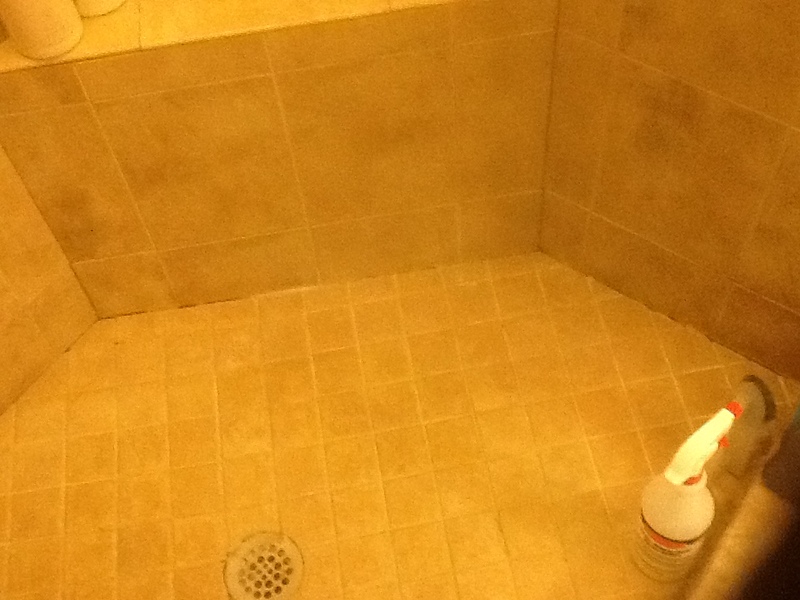 Mold had been present in this shower for some time. 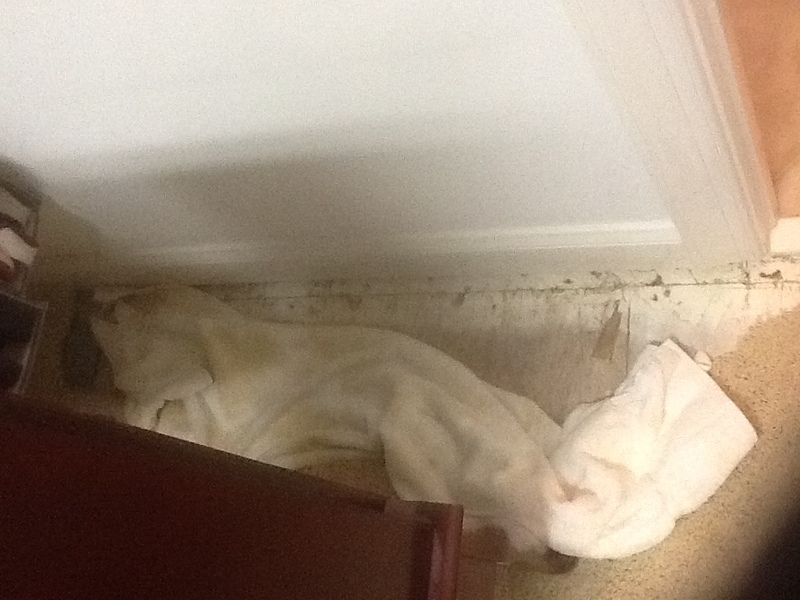 Finally things gave way, and water started seeping into the closet adjacent to the shower. Don’t let it get this far! If you’ve got mold that won’t go away, give us a call. We’ll get it done right!